Every time you turn on a light, open your fridge, charge your cell phone or play a video game, you don’t think of where the electricity that powers it comes from. Electricity is like oxygen: life sustaining, all around and at the same time, invisible. Below is a summary of the second book in the TechCareers Series: Automotive Technology. So, if you loved helping your dad repair the family car, if you loved being underneath the body of an automobile on the flat, rolling cart and if you loved smelling gasoline and grease mixed together, becoming an automotive technician might be the career path for you. 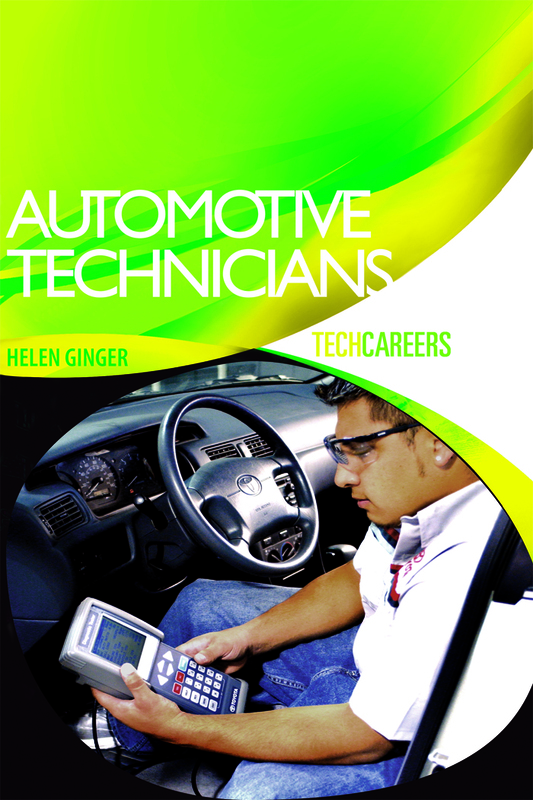 TechCareers: Automotive Technicians is your guide to entering the career field of automotive repair and maintenance. This article first appeared in the Valley Morning Star in Harlingen, Texas. HARLINGEN — High school counselors recently received updates about academic and career options available for dual enrollment students and graduates at Texas State Technical College Harlingen. I think it was sixth or seventh grade when my teacher announced we had visitors who were going to test us. Just What Do You Want to Do? I never thought about all those Sunday afternoons as family time, but looking back, I see that’s where my parents instilled a lot of values in their six children.